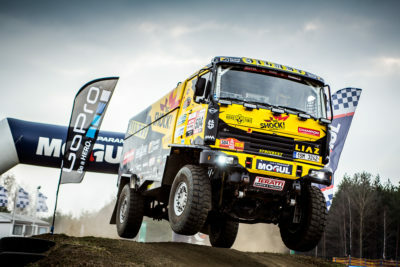 The KM Racing truck piloted by Martin Macík Jr. has opened the new season with a victory in the Baja Drawsko Pomorskie in Poland. The motorcyclist Lukáš Kvapil has also gotten off to a good start, winning the third place in the motorcycle race. 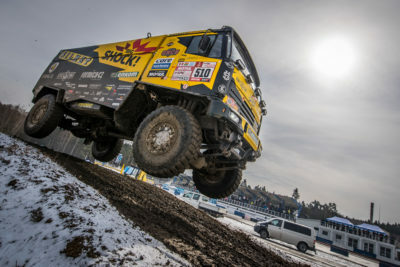 In the tough competition of three Czech trucks, the newly assembled crew consisting of Martin Macík Jr., František Tomášek and Michal Mrkva fared more than well. Their success becomes even more apparent when looking at the scoreboard in greater detail – they were outperformed by only two car crews. “On Friday afternoon we won the 7-kilometre-long opening stage, which was a valuable accomplishment in terms of the whole race. The track was soft and very dusty. In Saturday I was a bit slow because of a cold I caught before the race. But I liked the route very much, it had huge jumps and navigation was tricky. A great opportunity to put our new navigator, Franta Tomášek, to a test,” said Macík. 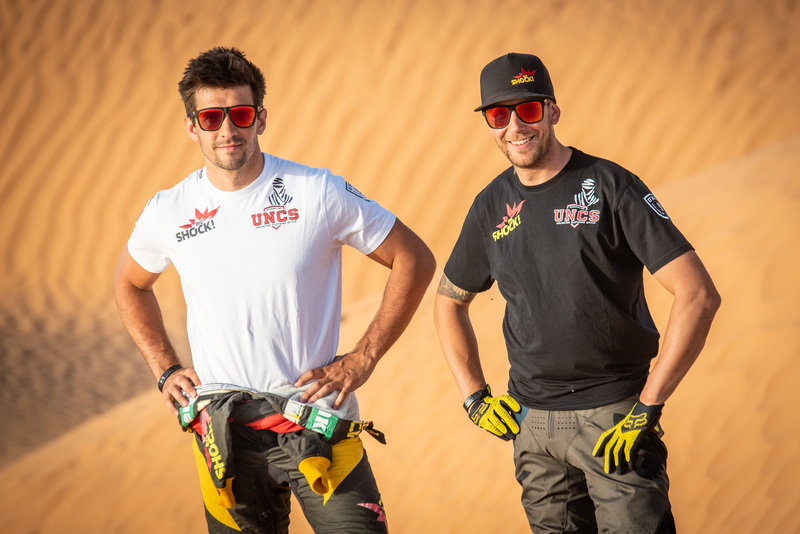 “This race was a very successful opening of the new season, which will culminate in January next year by the Dakar Rally,” said Macík. During the whole season the fans can support Martin through the Todokazeme.cz funding project. 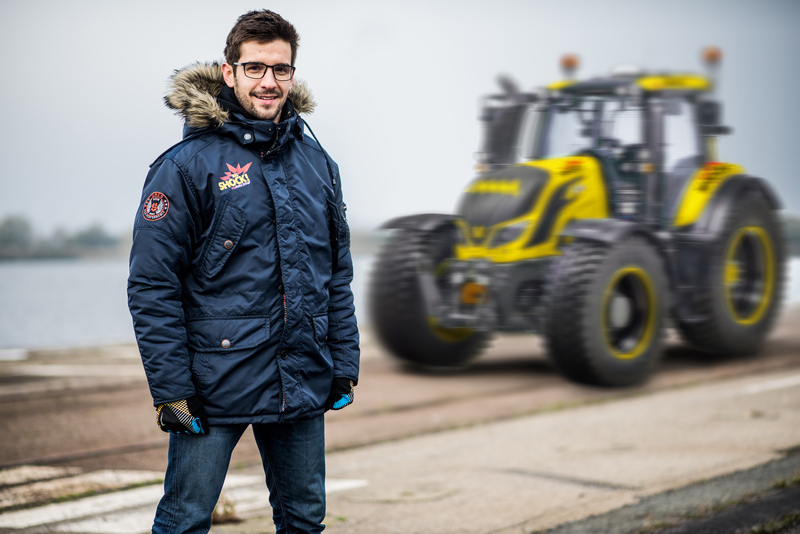 The top supporters will get a chance to accompany Martin to one of the next rallies. Martin’s father, Martin Macík Sr., kept a close eye on his son during the race, following his progress in an assistance car. After every stage they discussed how it went. For the first time in the FIA Central Europe zone off-road rally championship, KM Racing was represented by the motorcyclist Lukáš Kvapil, who rode the team’s Dakar special, Yamaha 450. “He is a professional soldier and a member of the Dukla army sports club. He did very well in his premiere race, his third place really exceeded our expectations. He will keep racing with us; his goal is to one day participate in the Dakar Rally,” added Macík.